ANKARA (Sputnik) - Turkish President Recep Tayyip Erdogan said that Ankara will use as intended S-400 air defense systems purchased from Russia, if it is necessary. "We purchase them [S-400 systems] in order not to store them in warehouses. The will be used appropriately if it is necessary. And what should we do with these defensive systems if not to use them? To rely again on mercy of the United States?" Erdogan said in the air of TGRT broadcaster. In December 2017, Russia and Turkey signed a loan agreement to supply S-400 air defense systems to Ankara. Two S-400 batteries will be operated and serviced by the Turkish military, according to the Turkish defense industry secretariat. 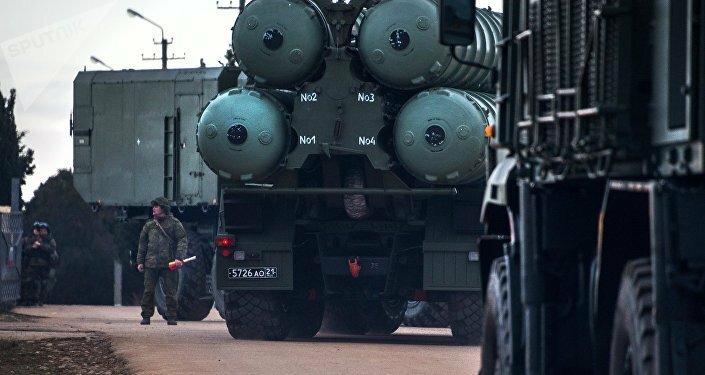 In April, Russian state arms exporter Rosoboronexport director general said that Russia had started manufacturing S-400 systems for Turkey. The deal triggered disagreements between Ankara and Washington, with the latter threatening to impose sanctions against Turkey, as the United States believes that the weapon is incompatible with the NATO defenses. In mid-April, US Assistant Secretary of State for European and Eurasian Affairs Wess Mitchell said Ankara's purchase of the S-400 air defense missile systems from Russia could negatively affect the delivery of fifth-generation F-35 fighter jets to Turkey. Turkish Foreign Minister Mevlut Cavusoglu responded by saying that Ankara would take retaliatory measures against Washington if it blocked the delivery of these jets.